In 1619 the actor-manager Edward Alleyn founded Dulwich College for ‘poor scholars’ so that ‘good learning’ might be available to all, irrespective of social background or financial resources. 400 years later Dulwich College and its educational partners, Dulwich College International (DCI), educate over 10,000 students across the globe. As part of its 400th-anniversary celebrations, the founding school - Dulwich College - will host The Dulwich Olympiad 2019, a celebration of Sport, Drama, Music and Art across our family of schools. 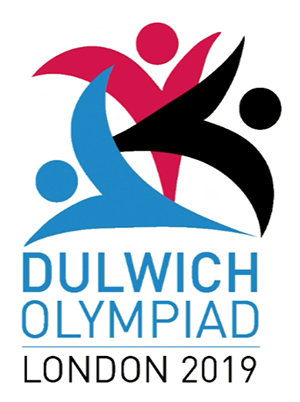 The Dulwich Olympiad 2019, which runs from 24 to 29 March, will bring together a representative body of over 600 students from the network of schools to participate in workshops and events and to showcase their talents in competitions, performances and exhibitions. This is Dulwich’s second Olympiad; the successful inaugural Olympiad was held in Beijing in 2015. A cornucopia of outstanding Sport, Drama, Music and Art experiences awaits pupils from Dulwich College International schools in Beijing, Shanghai (Pudong and Puxi), Suzhou, Singapore, Seoul and Yangon, as well as students from Dulwich International High School Zhuhai and Suzhou and sister school, Dehong International Chinese School in Shanghai. Venues for this year’s participating Olympians will comprise Dulwich College’s 70-acre campus with its beautifully refurbished Grade II* listed Barry Buildings and the RIBA award-winning Laboratory, plus Queen Elizabeth Hall on London’s Southbank and the 2012 Olympic venues of the Aquatic Centre, the Copper Box and the Olympic Park Community Track. The intention of The Dulwich Olympiad 2019 is to create an event that will be forever memorable in the minds of our diverse and vibrant Dulwich community. It will reflect and celebrate our shared vision of a holistic Dulwich education that combines the very best of traditional classical education with innovative thinking and application. The Dulwich College network of schools brings advantages to all its pupils through the sharing of best practice, teacher and pupil visits, gap years and exchanges and a global alumni network. In addition, participation is encouraged across the network in events such as the annual Student Leadership Conference and the Science and Art Photo competition. For more information about the Dulwich College 400th Anniversary including the programme of events, please click here.